Why IKEA may change household furniture Industry in India! Although the Scandinavian giant IKEA has been trying to come to India since 2000, it hasn’t been able to set itself up yet. And this was mainly because of the tight FDI rules in India until recently. 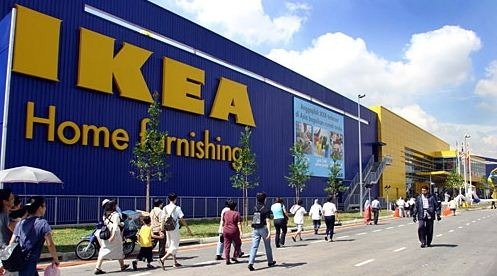 But with the Indian government having finally shifted from a 51 percent foreign ownership cap to 100 percent foreign ownership of Indian single brand retail ventures, IKEA can finally start making its plans to revisit the thriving Indian subcontinent. No formal announcements have been made as of now, but IKEA is expected to be one of the first large global brands to take advantage of 100% FDI in single brand retail! Let’s take a look at a few reasons why IKEA may be successful in India. From its trademark foldable, pre fabricated, light furniture, to household items to stationery, to an IKEA food store to the linen section to home accessories to kitchenware to decorative items, IKEA has it all. Worldwide, IKEA is known by its motto ‘Everything under one roof’. Just like Reliance Fresh, Big Bazaar, Spencer’s and the likes are gradually taking over the kirana stores of India, IKEA too has the ability to easily take over smaller independent shops of furniture that have been reigning over the Indian furniture marketplace from the past many years. The typical Indian trait of getting furniture custom made by hiring a carpenter on contract too could heavily take a beating. Indians are used to consuming customized items – whether is their Banarasi meetha pan, a kurti stitched by the gali ka darji or a piece of furniture made by the local Rajasthani carpenter. With IKEA, customization will take a whole new meaning for Indians. Choose a lampshade with a handpicked lamp base, choose a Futon with a shade of your choice, chose an arm chair with a different back cover and so on. Whether you are colour coordinating your own home or simply want to get DIY (do-it-yourself) furniture, IKEA serves every need. Arm yourself with an IKEA notepad, item list and pencil from the store entrance and start ticking off codes of the items you’d like to take away from their warehouse facility in the basement. This experience is likely to strike a chord with the needs of customization loving Indians instantly! More and more working Indians living in suburban metros want shopping hubs that offer quick service, a reliable brand name, wide options under one roof and quick delivery. Also, with cost of living in metros ever rising and rented pads becoming smaller and more expensive, people are only going to opt for home items that take up less space in the house, store more and are easy to move. As far as the pricing is concerned, only time will tell how IKEA suits its Indian customers, because the general reputation of IKEA products even overseas is that it is fairly cheap! Most well travelled Indians from semi urban and urban cities know the brand name of IKEA fairly well. IKEA along with Starbucks and Walmart, has been made familiar to Indians because they keep appearing in the media due to their constantly changing plans of entering the Indian marketplace. Additionally, IKEA being a classic international business case study of streamlining costs and developing an efficient supply chain, many B-school students are all too familiar with the brand name. Current IKEA CEO Mikael Olsson has his eyes well set on India as the next big opportunity. His 2010 visit exclusively focused on assuring Indian people and the Indian government that IKEA is not one of those companies whose Indian suppliers engage child laborers, unlike many MNCs that were accused of doing so in the 1990s, BBC News reported. IKEA has been sourcing many materials from India from a long time and to re-affirm its goodwill in the country, IKEA supports UNICEF’s water and sanitation program and funds initiatives in the carpet and cotton regions in the country, reported ET. In the coming years too, IKEA plans to spend in areas of women empowerment, education, health awareness and industry-based programs that aims to benefit about a 100 million women and children. One thing for sure, If and when IKEA enters India, they have potential to change household furniture Industry in India! Very well written article Kaushambi…Congratulations…. Valid point said by Altaf that IKEA needs huge infra investment to run the same business model as it uses in the rest of the world. Especially looking at the exorbitant rates of retail spaces in Indian cities, which are at par with the likes of New Yorks & Londons of the world, it is a challenge for IKEA to find a solution to this. Well Harish seems quite annoyed with all the FDI buzz, but looking at the broader perspective IKEA’s entry into India is beneficial to both Indian Customers as well as the existing players. Customers will get what is relevant to there changing needs and Indian manufacturers will have to raise their standards to meet those of IKEA’s. People might remember the paint quality of the first Indica Car launched by the Tata’s, it was pathetic, and now see those shiny cars with trendy graphics on them. Was it not because of tough competition???? I think Ikea can bring a change of indian housing structure by keeping it simply stylish with reasonable price! Outsider is comming to benefit us what the f*** economic governing in our country..
British came with out permission now investors coming with permission with small difference thats it!!!!! Apple have twice of US GOVT value, still he dont have manufacturing unit in china.. China is not given 100%FDI to apple to invest with 100% i.e they know their country economy value if they give FDI licence just they have to work for company thats it but they can take company profit benefits. However what I wonder is the business model. IKEA needs a massive infrastructure from day one. It can not start its business in a road side rented shop and grow. It has to start big. Infact huge. The store has to be massive. And it has to fill the store with wares. Thousands of them. The problem I foresee is how IKEA is going to comply to the clasue of procuring 30% of all it sells from SMEs from day one. If IKEA want to do it systematically, it has to start its homework years ahead of its entry. Selecting the wares it plan to procure from local SMEs, short listing the SMEs, making long term supply contracts, organizing the warehousing, fleet of transport. And all these even before it opens its doors for business. Once it stabilizes the first wave of problems, its only smooth sailing. All it has to do is expand the stores in various cities. I hope IKEA will conquer the Supply Chain Management issues in a professional way. Once it clicks in India, it will bring a lot of changes in Indian mind set in the way they shop.